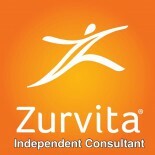 It is an exciting time for all of us at Zurvita, a Houston, Texas based company created in 2008. In 2011 the company took off with the introduction of it’s food-based flagship product, Zeal For Life® , a functional food with clinical proven results at the highest level. For 10 years, we as a company went from $3 million to being on our way to over $200 million in revenue. More and more customers are using our products and consultants, such as myself, have had our lives changed by Zurvita’s part-time business model. We are now entering a new era in the Wellness Industry with the launch of three new products which will revolutionize your life. Today we bring to you, a product which offers clarity and mental focus. For all Existing Customers – Available for purchase now! Z-Blends Hemp are oils which stimulates optimal immune function, targets stress, enhances your mood and is calming. Z-Blends Hemp is organically grown, it does not use any genetically modified organisms. Both hemp and marijuana come from the cannabis plant, but they are vastly different. They may appear similar, but marijuana features broad leaves, dense buds and has a short appearance. Hemp features skinny leaves that are concentrated towards the top of the plant and grows taller and skinnier than marijuana. Hemp contains little to no THC concentration (0.3% or less), marijuana is rich in THC with concentrations between 15% to 40%. Hemp is grown for its industrial purposes, while marijuana is grown for recreational and medicinal purposes. Zurvita’s Z-Blends’ hemp is organically grown in the United States. without the use of pesticides, synthetic fertilizers, genetically modified organisms or ionizing radiation. It’s handled in a Good Manufacturing Practices (GMP) site. This means that the products are consistently produced and controlled at quality standards. The hemp is extracted using a CO2 process which is a safe and clean method, free of any chemicals. This method is also nontoxic and does not contribute toward carbon emissions. Once extracted, the hemp oil is processed using Nanoemulsion Advanced Technology (N.E.A.T. ), the best absorption method possible. Z-Blends Daily delivers a premium blend of nanoemulsified hemp oil straight to your body where it matters most. Z-Blends Daily contains 750mg (25 mg per serving) of isolated cannabinoids with 0% THC. New Customers, please contact us below so we can sign you up. Only existing customers can access pre-launch shopping cart. This entry was posted on March 30, 2019 by Zurvita.com/HealthRoads in cell food, Espanol, FAQs, Health, Nutrition, Nutrition and Wellness, Plant Based, United States, Weight Loss, wellness, zblends, zblendsempoil, zurvita hemp oil, Zurvita New Products, zurvitahempoil and tagged aging, attention deficit, attention span, bone health, brain function, cannabinoids, cannabis, CBD, digestion, healthy, Healthy Lifestyle, hemp, hemp oil, hemp oil prices, immune function, marketing, memory, memory loss, menstrual cycle, mental clarity, mental focus, mood, non gmo, organic, sleep, stress, THC, wellness, z-blends daily, z-blends energy, z-blends sleep, zblends, zblends hemp, zblendsdaily, zblendshemp prices, zeal products, Zurvita espanol, zurvita hemp, zurvita hemp oil, Zurvita New Product, Zurvita New Products, zurvita oil, zurvita products.